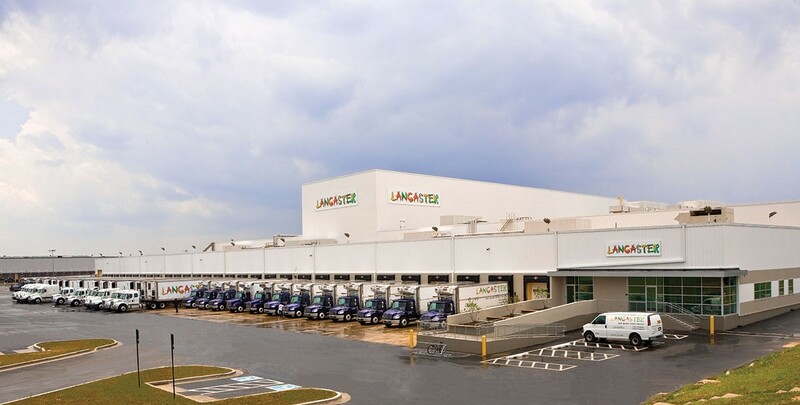 Lancaster is a highly sophisticated food service company that is responsible for the storage and shipping of fruits and vegetables for the majority of the east coast. 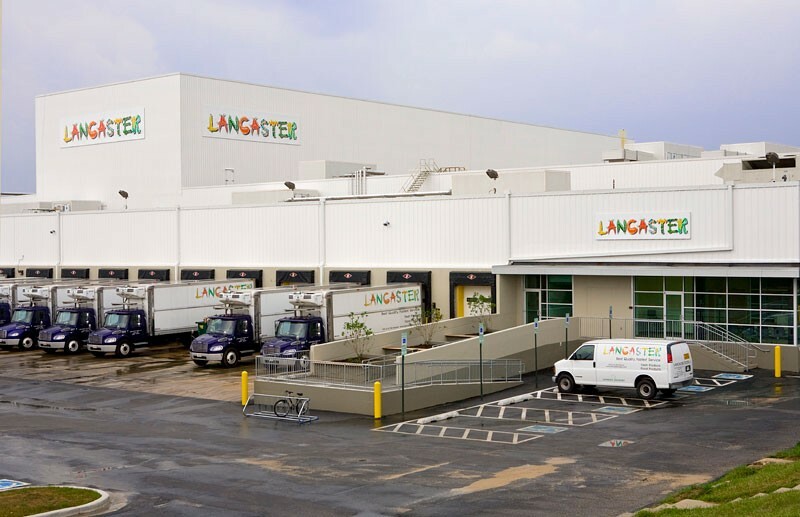 Their new facility is a renovation of an existing Giant Grocery facility that was used as an ice cream production and freezer storage. The project was done for Guest Services which is their parent company. The facility is designed with 44 dock doors, 28’ clear height high pile rack storage, nine state-of-the-art ripening rooms, and fourteen “boxes” dividing fruit and vegetable storage based on adjacencies per product requirements. Two of these “boxes” include high humidity and a galvanized racking systems. Separating the areas are 43 interior high speed fabric doors that open automatically when approached by the forklifts that will load and move the products to their required areas. The design includes separate office areas for production and general office, shipping and receiving, and has an 20,000 lb central ammonia refrigeration system, 3,000 feet of refrigeration piping with 28 rooftop penthouses for efficiency. It is also includes a 15,000 gallon refueling station and is highly secure with approximately 200 cameras, proximity readers, & bioscanners. This project is LEED Certified.